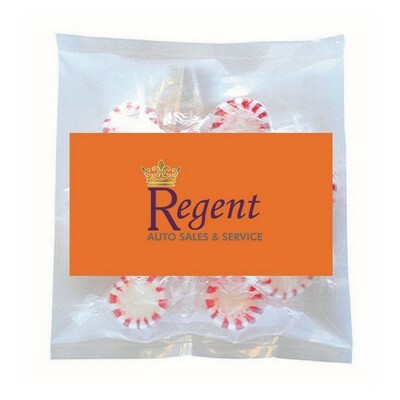 Our Business Card Magnet with Small Bag of Peppermints conveniently fits in your pocket, purse, or briefcase. Ensure that your customers and staff have an adequate supply of freshness and vigor handy, at all seasons, with the Small Bag of Peppermints. It comes with a business card magnet for your brand’s logo and other information, which ensures that your clients remember your brand as the best. The small bag conveniently fits in your pocket, purse, or briefcase. Hand it out at offices and conventions, to bring tons of attention to your brand, and increase its success rate.